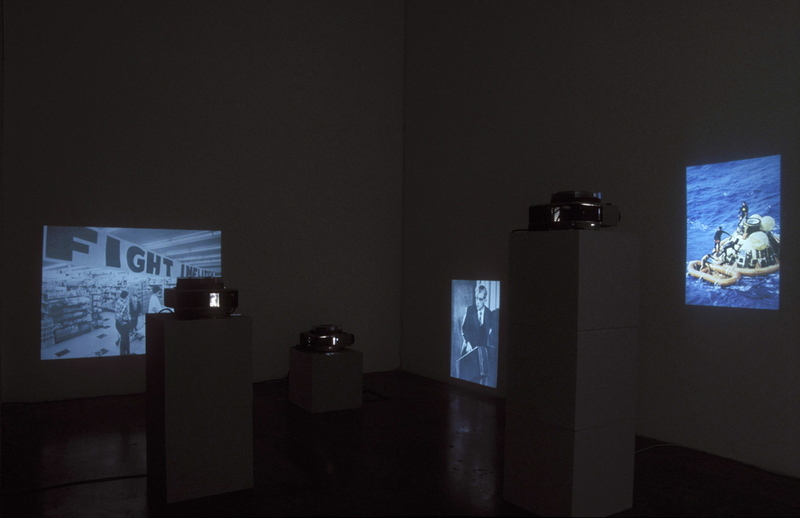 Seminal II (after the year of the artist’s birth and Colliers Encyclopaedia Yearbook 1970, covering the year 1969) is a three-screen slide projection installation. Over 300 photographic images from Colliers Encyclopaedia Yearbook 1970, covering the year 1969 were reproduced as slides. The Encyclopaedia Yearbook is from a set purchased by the artist’s parents in the 1960s from a American travelling salesman resulting in a particularly ‘American-centric’ representation of the world being a central part of the artist’s childhood. 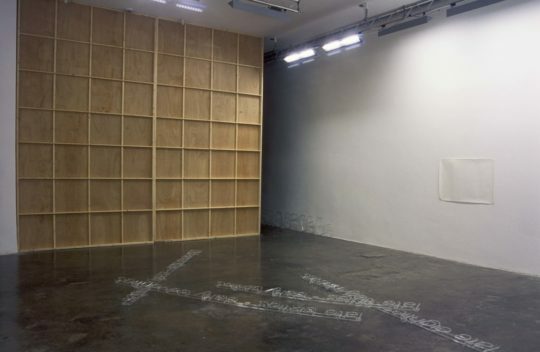 general-specific, installation view, Project Arts Centre, Dublin, 2003.